Caught Phantom of the Opera at the Mastercard Theatre at MBS the other night! I actually got the invite thanks to Qiuting, who mentioned in the group chat that she had been contacted for it & I was like "I WANT!" ~ whoop whoop ~ And then I told the rest of them what I thought the story of the Phantom of the Opera was, which was unfortunately based on an Archie Comic adaptation. And now I know that Archie Comics are not a reliable source of information. Some information I found online! 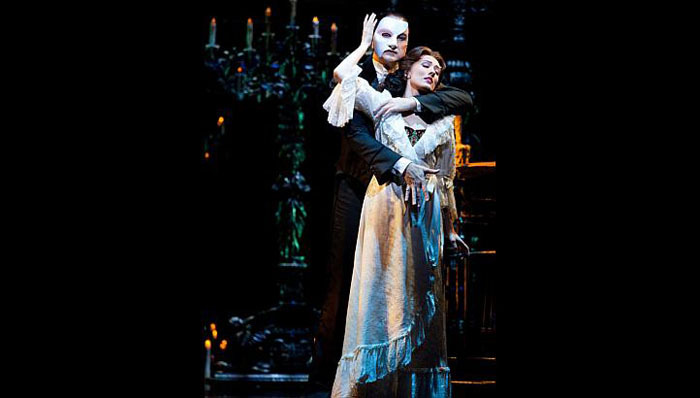 The world's most successful and popular musical and the longest-running show on Broadway, THE PHANTOM OF THE OPERA, comes to Singapore for a strictly limited season in July 2013. Andrew Lloyd Webber's phenomenal hit celebrated its 27th anniversary on the West End stage last year, and continues to play to full houses nightly in London, New York and around the world. 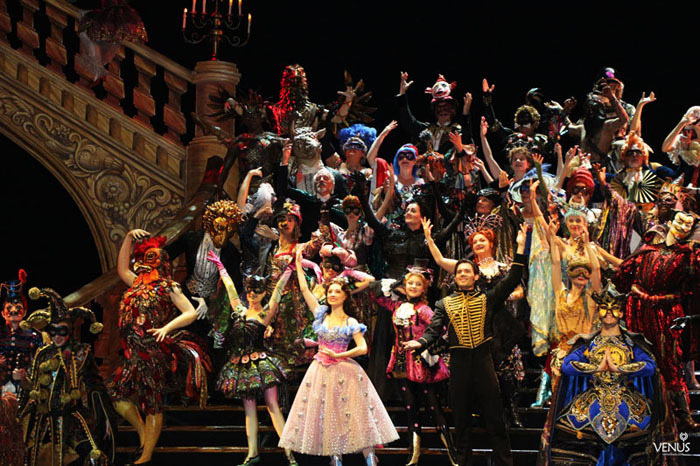 THE PHANTOM OF THE OPERA has been seen by over 130 million people worldwide, has been performed in more that 27 countries and has won over 50 major theatre awards. THE PHANTOM OF THE OPERA is a heart-wrenching story of the mysterious, hideously disfigured Phantom who lives beneath the Paris Opera House, and his obsession with the young singer Christine. Disguised as the 'Angel of Music' he devotes himself to creating a new opera star, and winning her love from his rival Raoul, while exercising a reign of terror over the Opera house. Naturally no photography allowed in the theatre itself so I only have some pictures taken with backdrops! The dress code is black tie & everyone really was dressed quite formally (e.g. bowties & floor-length gowns), so be warned! Don't turn up in casual sloppy wear! With Melissa! Yina was there with us as well but somehow I missed out on taking photos with her lol. With one of the cast members! He plays Christine's boyfriend, aka the Phantom's love rival! Went to the toilet & pinned up my fringe after that. I have a love-hate relationship with it. I like my dress that day though! It's from Anti Establish. One more with another backdrop! 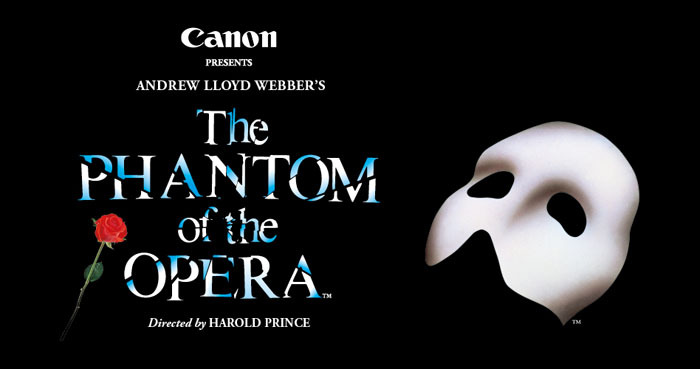 The Phantom of the Opera closes 01 September 2013, so catch before that! If you haven't caught any musicals before & don't mind trying, you should catch THE musical, which is The Phantom of the Opera. I don't know much about musicals (I've caught a few but certainly not enough to review any) & this was my first time seeing The Phantom of the Opera, but 90% of the audience gave the cast a standing ovation at the end :O So it must have been good! 9 comments on "Phantom of the Opera"
SOPHIE I LOVE YOUR HAIRSTYLE IN THIS. YOU TOTALLY ROCK THE SIDE SWEPT BANGS! And idk i think you look more mixed with this hair color! Very natural and very sweet looking! Omg seriously very beautiful i just can't stop!!! Haha my heart was screaming in silent(and it still does now that i'm typing this) when i saw your photo! Omg damn @salonvim really take good care of ur hair! Doesnt look spoilt also although you've bleached ur whole head! Anw you look good in the side swept bang because i think it suits ur face more? (see told you i can't stop admiring ur photo) Omg pls post more photos and update more k! I think I have the same dress! what size are you wearing for the dress? size 1 2 or 3. thanks alot!